Sleep apnea causes breathing to stop at intervals during sleep. These breathing pauses can take place as often as 30 times in an hour, and are the result of the airway being closed or blocked. Continuous Positive Airway Pressure (CPAP) machine is essentially a pump that is connected to a facial mask. The patient wears the mask during sleep, and together, the mask and pump produce a positive, regular airflow in the nasal passages, effectively keeping the airway open. Depending on the type of CPAP device you have, the mask may be placed over the nose, under the nose, or over the mouth and nose together. It may also fit over the entire face. There are some side effects that come with CPAP therapy, but are not significant. They short-term include sore eyes, headaches, nasal congestion, abdominal bloating, and general discomfort. These side effects are usually only present during the time when the patient is growing accustomed to the appliance, and fade away within a few weeks or months at the most. 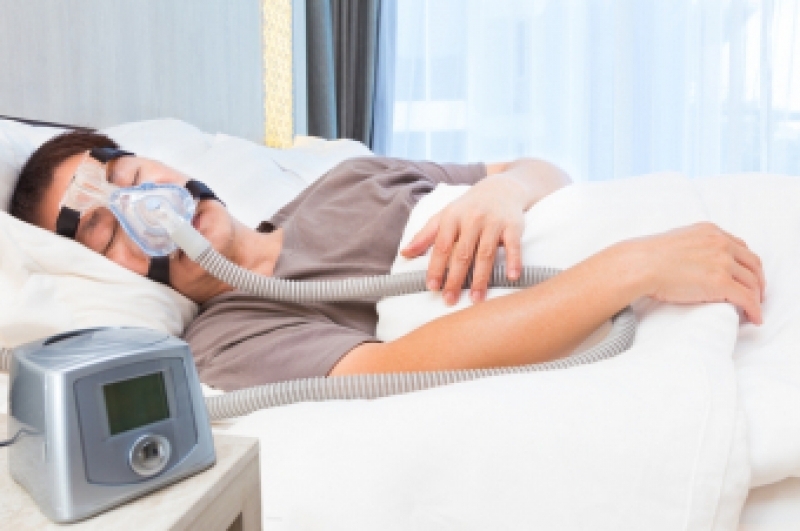 Most CPAP users report immediate sleep apnea symptom relief, and find they get a much better night’s sleep almost immediately following the commencement of treatment. This, in turn, results in a steep increase in energy and mental sharpness throughout the day. If you are suffering from sleep apnea and are wondering if CPAP is right for you, please contact our Surrey dentists for a consultation.